Welcome to England, home of the best pubs in the world. It was tough to select only a few, but we managed it. The beer is good everywhere, but if you want cocktails head for Brass Monkey or Boilermaker, and if you want an alcohol-free bar try Sobar. Simon’s local is an excellent little boozer. Drink some Castle Rock ales or a bottled Belgian. Serves good pub grub. This restored two-level Victorian music hall is a lovely, peaceful place to take shelter and grab a coffee, beer, or burger. We both love this place. 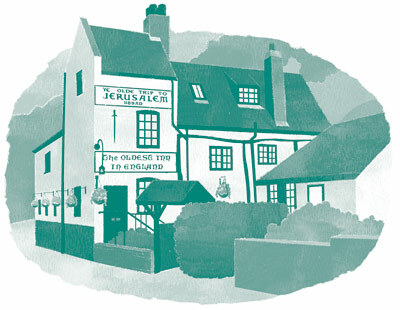 Cosy yet spacious, with a broad drinks selection and a good hearty food menu. 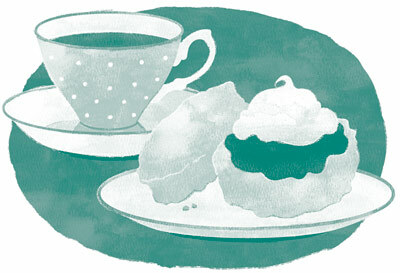 Try the bangers & mash, or fresh scones with tea. A new and vibrant bar next to Broadway cinema. If you love BrewDog beers then this is for you, obviously. A relatively new, unique bar hidden behind what looks like an empty shop. Once past the 'salesman', you enter a red bathroom, push the sink to open the hidden door, and then you're in a cosy cocktail bar. Worth it for the entry experience alone. Small but well-respected cocktail bar up on cobbled High Pavement. The Beastie Boys wrote a song about it. Not true. We don’t go here but yes, Nottingham has a pub inside a church. It’s a solid option if you want food and drinks inside a church. In it’s heyday unknown bands like The Strokes, The White Stripes and Coldplay performed upstairs in this tiny venue. Lost it’s magic but a big part of Simon’s youth. Lovely old boozer on the edge of town. Look for the cosy area carved out of caves near the back. Sobar. So-ber. Get it? Ok. This place is new and does not serve alcohol. Ideal if you want a vibrant and relaxed place free from drunks.